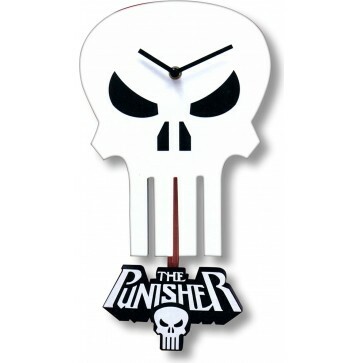 8" × 10.5" wall clock in the shape of the Punisher's iconic skull emblem. The clock includes a 3-D pendulum of the Punisher logo that swings back and forth. Comes with a one year limited warranty. 2 AA batteries required (not included).